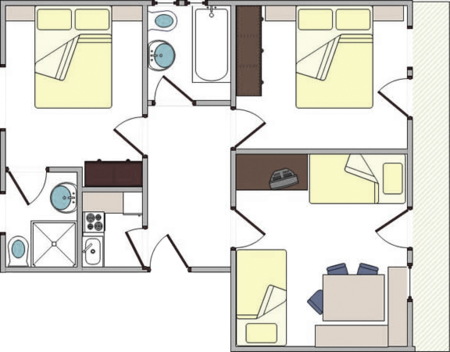 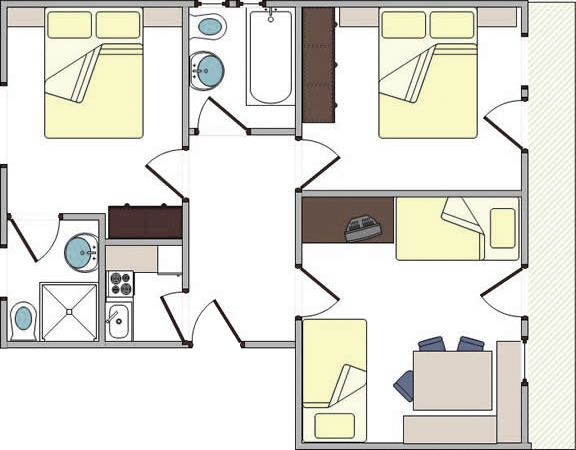 Apartment 1 covers about 60 m² and accommodates 4 to 6 persons. 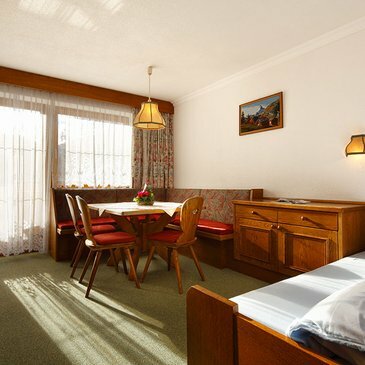 Located on the first floor, south-facing balcony with uninterrupted panoramic views of the mountains. 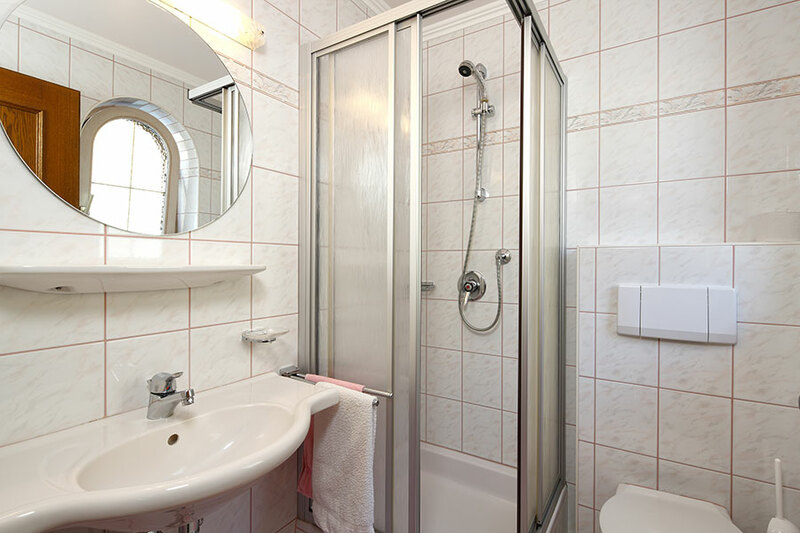 Our guests feel at ease in two double rooms with shower/WC or bathtub/WC and hairdryer. 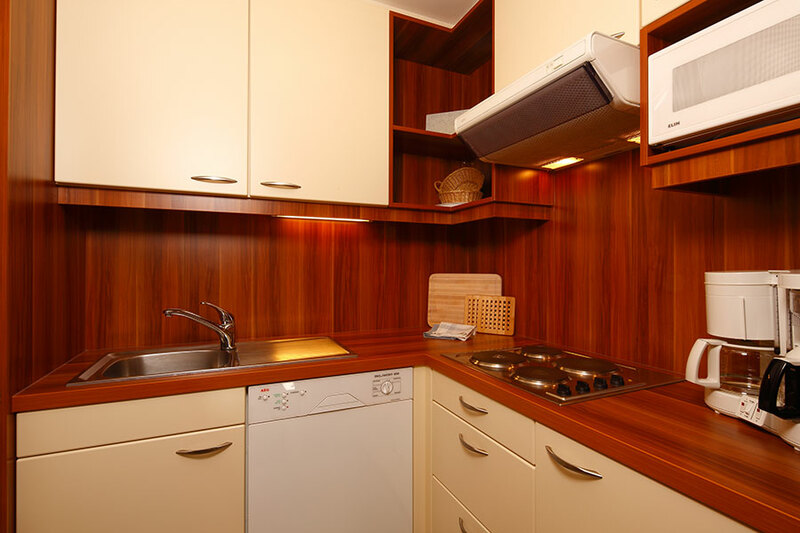 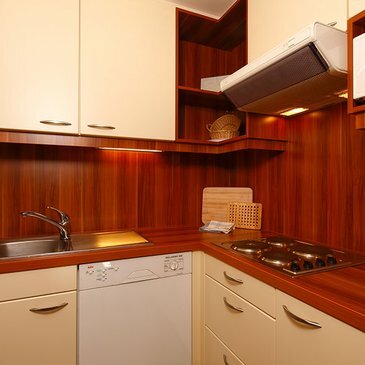 Furthermore the apartment features the following: bed-sitting room, small separate kitchen fully appointed with fridge/small freezer, 4-plate electric cooker, microwave oven with grill, coffee maker also for preparing tea, dishwasher, complete cookware and tableware. 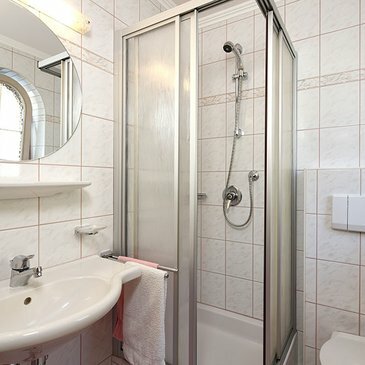 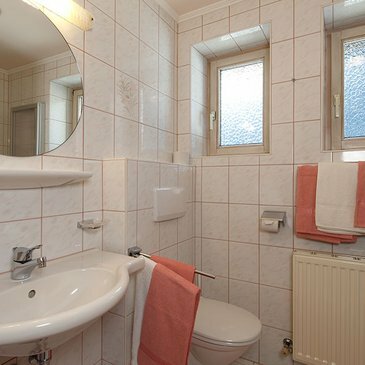 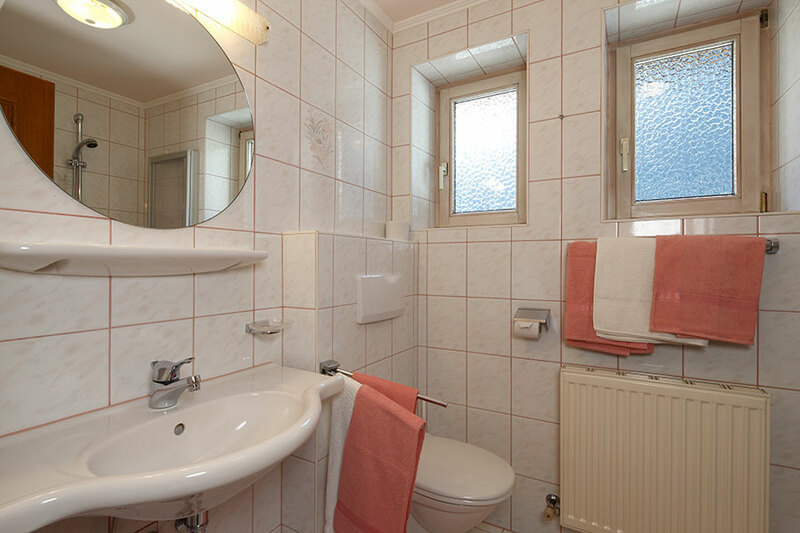 Bed linen, towels and bath towels (for use in the apartment) are provided. 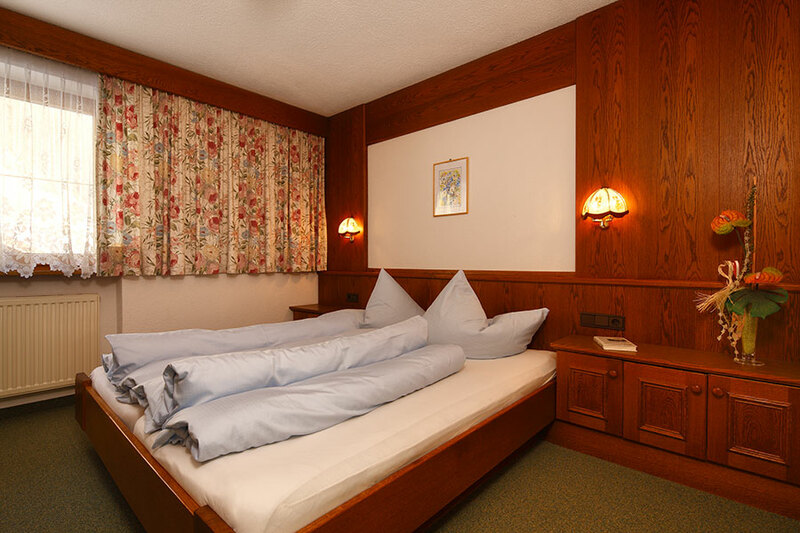 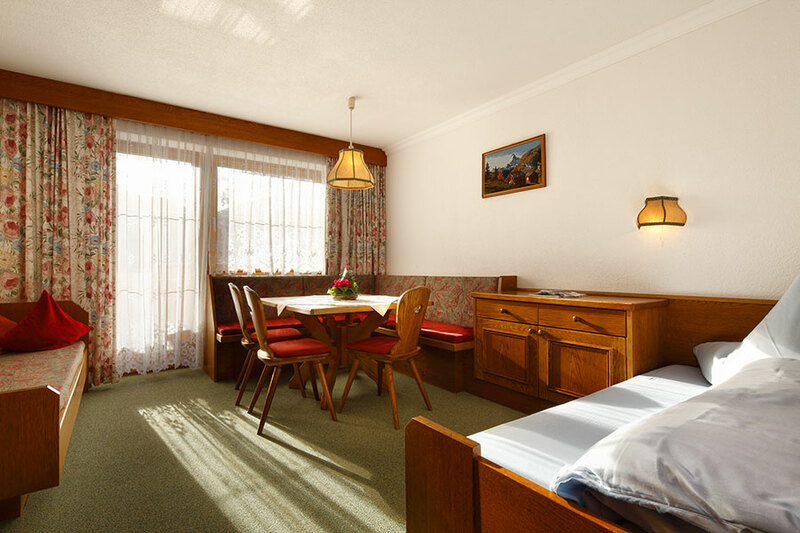 Additionally, we offer cable TV, safe in the apartment, parking lots right next to the house, ski and sports equipment storage room with boot-dryer.